Something wonderfully different country rock with a great Americana story ~ So happy to share this on my blog. Oh yes, Lil Sis, I’m aware of the Dixie Chicks. Soooo much talent, hits one right in the heart. My daughter dragged me out to see the Dixie Chicks when she was preggers out to here. I like all kinds and grew up on country music and big band sound because we lived in a village in the boonies. The radio programs were split between big band at a certain part of the day and country music at suppertime and in the evening. 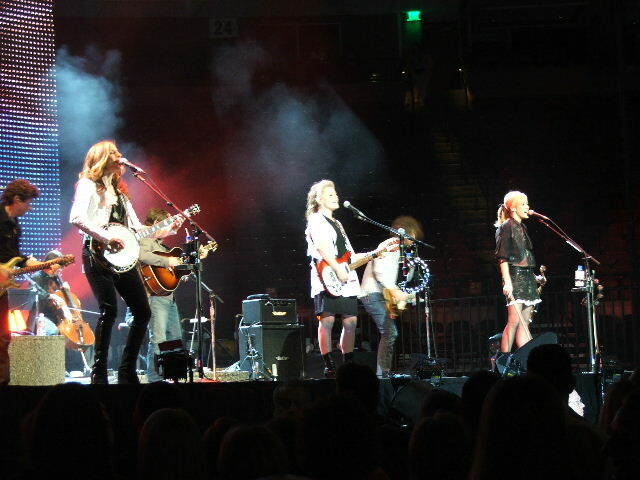 Well, I fell in LOVE with the Dixie Chicks. Thanks for sharing. I love hat you did that with your daughter! You are a devoted mom Tess! I too grew u on country, big bands, My mom and dad both into the local country/folk scene, and my mom an avid Big Band sound fan. I have her albums now. This is a revival of The Chicks for me. Second time around they seem to sound even better. You always have something great to share Tess I always lool forward to your comments, Thabk you! I haven’t heard this since it was rising in popularity — thanks for reminding me how very much I love and respect these women!